Embark on an endless Star Wars™ action experience from the best-selling Star Wars HD video game franchise of all time. Experience rich multiplayer battlegrounds across all 3 eras - prequel, classic and new trilogy - or rise as a new hero and discover an emotionally gripping single-player story spanning thirty years. A new hero, a story untold. Jump into the boots of an elite special forces soldier in a powerful new Star Wars campaign that bridges events between the films Star Wars™: Return of the Jedi™ and Star Wars™: The Force Awakens™. 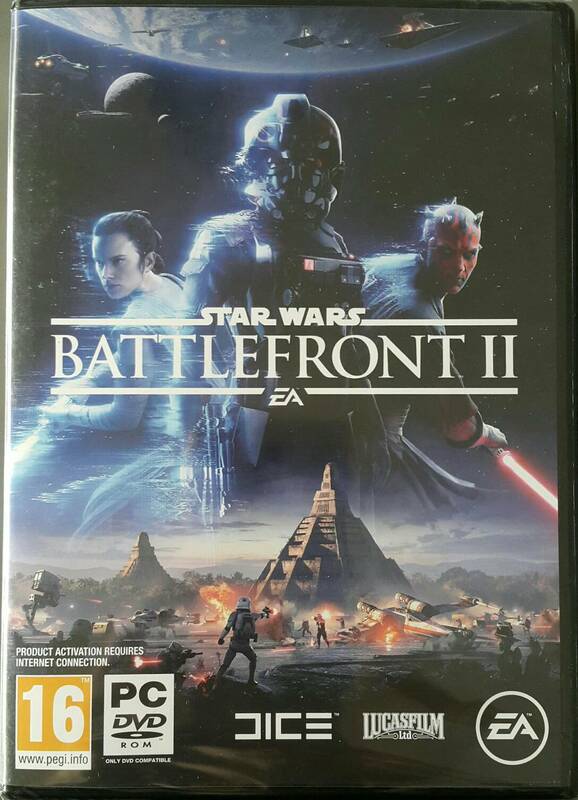 The ultimate Star Wars™ battleground. Experience a multiplayer universe unmatched in variety and breadth. Up to forty players fight as iconic heroes and authentic-to-era troopers, and in a massive array of vehicles as battle rages through the galaxy. Galactic-scale space combat. 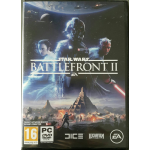 Star Wars™ Battlefront™ II features a space combat system designed from the ground up with distinct handling, weapons and customisation options. You can pilot legendary starfighters in high-stakes dogfights with up to twenty-four players and forty AI ships. Better together. Earn rewards, customise your troopers and heroes and bring the upgrades you earn to the online multiplayer battleground. A reason to play every day. Each season brings fresh, new downloadable content, available to all players***. With exciting new locations, characters and quests, you can take part in a connected universe and be rewarded as an active member of the Star Wars: Battlefront II community. Exclusive themed looks. Make sure your Kylo and Rey really stand out against the chaos of the battleground with exclusive looks from the upcoming Star Wars: The Last Jedi. Ship epic ability modifiers. Get an edge over the Resistance with an upgrade to a new First Order ship. And upgrade the Millennium Falcon with a themed look and sounds inspired by Star Wars: The Last Jedi, plus an Enhanced Auxillary Power epic Star Card!